These studies update interstate comparisons of the key outcomes achieved by injured workers in Indiana, Massachusetts, Michigan, North Carolina, Virginia, and Wisconsin and nine other states. The studies reflect a multiyear effort by WCRI to collect and examine data on the outcomes of medical care achieved by injured workers in a growing number of states. Six new state studies published today by the Workers Compensation Research Institute (WCRI) compare outcomes of injured workers in Indiana, Massachusetts, Michigan, North Carolina, Virginia, and Wisconsin and nine other states. The outcomes examined include recovery of physical health and functioning, return to work, earnings recovery, access to medical care, and satisfaction with medical care. 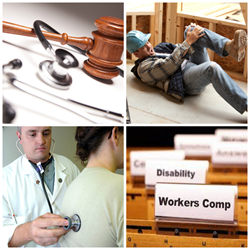 The research, Comparing Outcomes for Injured Workers, 2016 Interviews, is a product of an ongoing, multiyear effort by WCRI to collect and examine data on the outcomes of medical care achieved by injured workers in a growing number of states. Interviews were conducted in six of the states (Indiana, Massachusetts, Michigan, North Carolina, Virginia, and Wisconsin) in 2016. Interviews for all other states (Arkansas, Connecticut, Florida, Georgia, Iowa, Kentucky, Minnesota, Pennsylvania, and Tennessee) were conducted from 2013 to 2015. Below is a sample of the findings from the six individual state studies released today comparing return to work across 15 states. Indiana: Ten percent of Indiana workers with more than seven days of lost time reported never returning to work for at least a one-month period predominantly due to the injury as of three years postinjury, and 11 percent reported no substantial return to work within one year of the injury. These rates were somewhat lower than in many study states. Virginia: Fourteen percent of Virginia workers with more than seven days of lost time reported never returning to work for at least a one-month period predominantly due to the injury as of three years postinjury, and 17 percent reported no substantial return to work within one year of the injury. These rates were similar to the median study state. Wisconsin: Twelve percent of Wisconsin workers with more than seven days of lost time reported never returning to work for at least a one-month period predominantly due to the injury as of three years postinjury, and 13 percent reported no substantial return to work within one year of the injury. These rates were similar to what we observed in the median study state. To learn more about these studies or to purchase copies, visit WCRI’s website at https://www.wcrinet.org/reports/comparing-outcomes-for-injured-workers-2016-interviews.